VIA: The radio star helps generate some buzz ahead of Apple Music's launch. In a hotel room in New York's Crosby Street Hotel this past Tuesday (June 23), Apple gave Billboard a run-through of Apple Music, the company's streaming platform set to debut next week at 11am on June 30. Representatives explained that the platform's radio station, Beats 1, is meant to be a centerpiece of the service, a modern approach to traditional radio, streaming twenty-four hours a day, where listeners should be surprised and even -- strange for the data age -- miss something if they aren't tuned in. They probably won't miss this one. 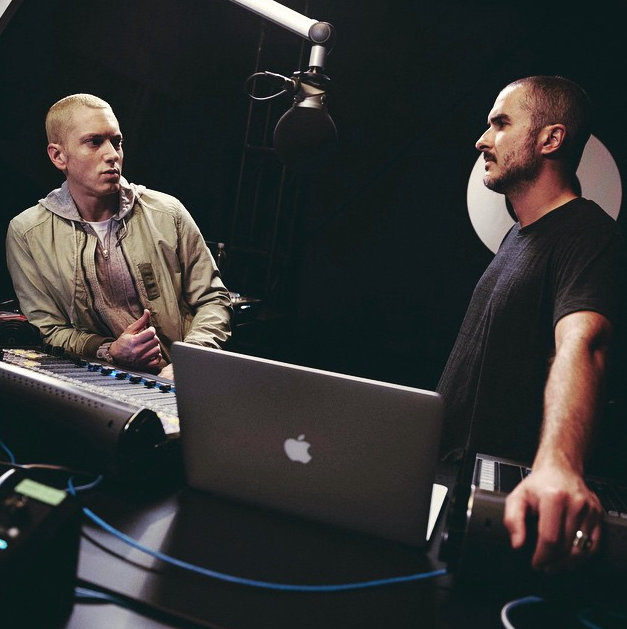 Last night Zane Lowe, the BBC Radio star that Apple picked to lead its radio network, posted on Instagram a picture of him interviewing Eminem, "my first... for Beats 1." Lowe is famed for his extended, meandering chats with artists -- you may remember a couple with Kanye West. The New York Times also reported today that Elton John would be hosting his own show, "Elton John's Rocket Hour," and would be joined on the station by Annie Clark (St. Vincent), Josh Homme, Hollywood eccentric Jaden Swith and British dance stars Disclosure. Also joining them on the "dial" is Beats co-founder Dr. Dre. 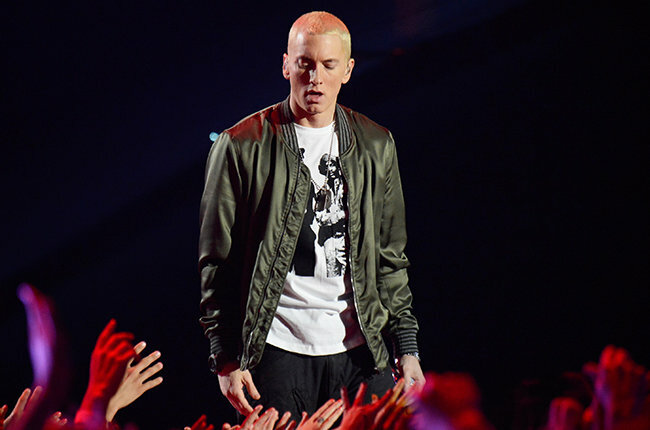 Eminem has been quiet so far this year, grabbing headlines this past December for his appearance in The Interview -- making it not unlikely that Lowe's interview will reveal some upcoming plans from the artist. As well, Lowe's post reveals enough about Beats 1's approach to suggest it will, if supported, could become more than a staid button inside a colorful app. In that hotel room in New York, it was clear that Apple Music's radio component embodies its approach to music, which boils down to fostering the feeling of "a human touch" to fans' digital listening. Next Tuesday, we'll see how it goes.